From the the author's introduction . . .
Once upon a time long ago, the Creator blessed a bit of earth with wind, sun, sea and sand, and set it apart from hurricanes, earthquakes, fire and flood. Therefore, its people basked in their blessings and called their bit of earth Dushy (sweet) Aruba. One happy island. But, a girl, a commoner of no national or international prominence, came and got herself misplaced, leaving the world to wonder: How sweet, how happy? indeed. How could such a commonplace incident, on such an idyllic place, create such an angry international stir? The purpose of this book is to demonstrate how, as well as to set the record straight. With this purpose in mind, I have put together all the meaningful matters in the case, beginning from its onset. In order that it be objective and unquestionably factual I have subjected it to intensive cross-referencing and personal day-to-day, timely physical examination of every bit of evidence that has come to light. The tragedy began on May 25, 2005, when one hundred twenty-four students of Mountain Book High School, Alabama, and seven chaperones arrived on Aruba for a five-day vacation; all staying at the Holiday Inn, a high-rise, beach hotel. They spent five days and nights soaking up the sun, playing in the sea, and roaming the island's rocks and cunucus (country-side), having fun at its discos, restaurants and casinos, without a single unpleasant experience. A few said they'd return some day. But on the morning of May 30 when the group was preparing to leave for the airport, Natalee Holloway was absent and could not be accounted for. Chaperones reported the matter to the hotel management. Together they searched and investigated. Natalee's things, including her passport, were in her room. Her whereabouts could not be traced. . . Natalee's roommate did not express concern for her non-return to her room the previous night. . . Foul play was far from anyone's mind. 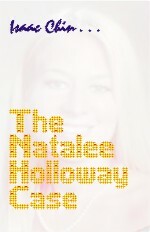 Enter a distraught mother, Beth Holloway Twitty. . .